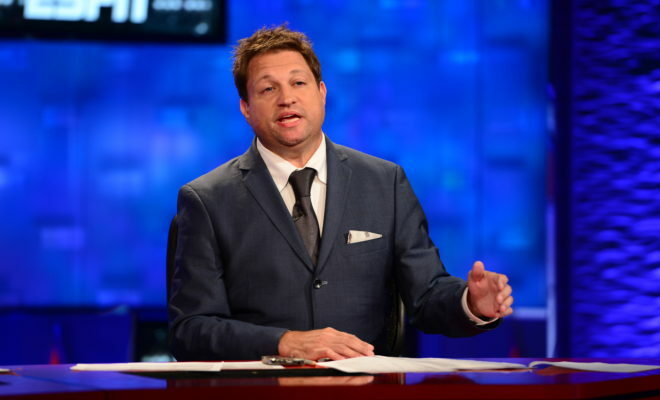 ESPN has announced that it has re-signed NBA senior writer Marc Stein to a multi-year extension. Thanks to the new contract, Stein will continue to be seen and heard on ESPN’s various platforms. Stein has been with ESPN dating back to 2000 and he’ll be the Worldwide Leader’s lead national basketball reporter. ESPN says Stein will continue to write his regular columns including his weekly Power Rankings, reports and updates on the network’s website. In addition, he’ll appear on SportsCenter and other NBA-related programming on the television side. And on ESPN Radio, he’ll be a reporter during NBA All-Star Weekend and the NBA Finals. For the past two seasons, Stein has been covering the Golden State Warriors across ESPN platforms and he’s been based at Warriors training camp this month.